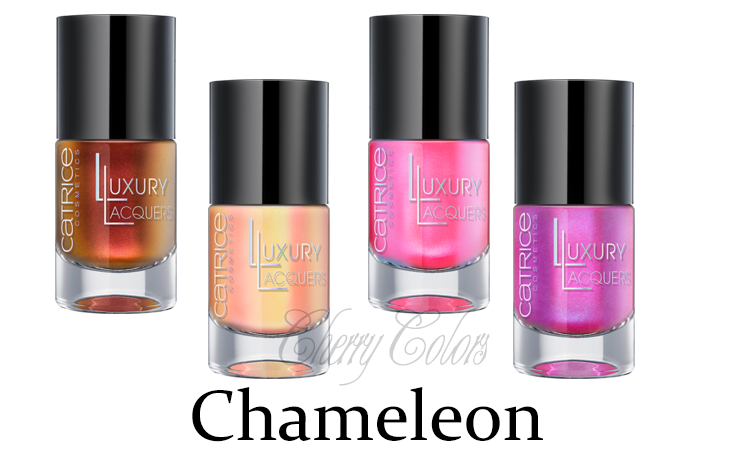 Preview: Catrice Luxury Laquers - Cherry Colors - Cosmetics Heaven! This one is for you! Catrice heard our cries for amazing nail polishes (I am sure, right right?) and they came out with this fantastic limited edition. Show Effects. Looks must be multi-facetted, the feel unusual. The new fabrics in the designer collections are there to be discovered with all your senses. Three-dimensional structures, elaborate applications as well as multi-dimensional colours with holographic or metallic effects turn the designs into luxury items. More is more. That’s why the Limited Edition “Luxury Lacquers” by CATRICE“, which will be available in stores in March 2014, offers a total of 24 nail polish colours guaranteed to be eye-catching. You have a choice of four different effects: Sand’sation, Chameleon, Million Brilliance and Holomania. All polishes shine in the trendiest colours of the season and offer ultimate coverage as well as a long-lasting texture. Limited Edition, unlimited Effects – by CATRICE. Special Sparkle. Multi-dimensional glitter and pearls sparkle in all facets and give your nails a luxurious coat. The result is unique and brillliant – absolute must-haves and suitable for all trendy looks. 3Deluxe. The Sand’sation nail polishes offer a sandy finish with high coverage and a sensational colour brilliance. The fine crystals cover your nails like diamond dust to give them an unmistakable structure. Pretty Prism. 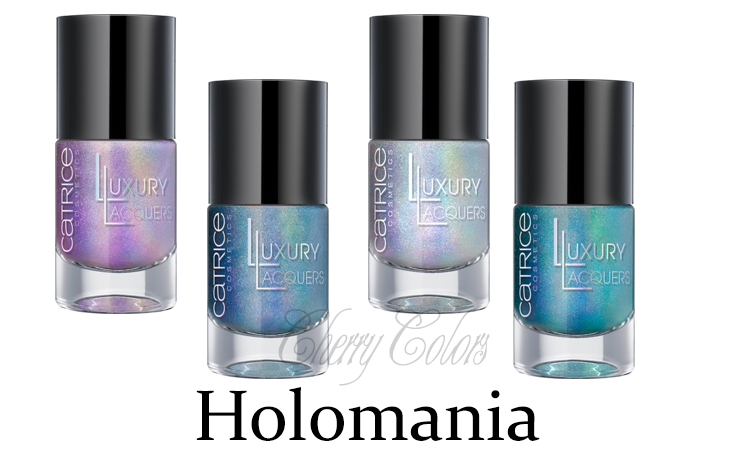 Holographic effects give your nails a unique look - exclusive and fascinating at the same time. The metallic colours with an ultimate prism effect come in cool silver and blue shades as well as a fashionable purple. Ultimate coverage and ultimate durability are guaranteed. On top of that, the professional brush offers a particularly easy application. Colour Change. Intensive, powerful colour meets upon iridescent duo-chrome here. The unique chameleon effect makes a real statement. The shine is full of effects, the colour offers great coverage and the texture is especially long-lasting. Oh boy, I am excited. Too many wonderful and unique nail polishes!